Stop putting off your deck staining and call us for worry-free results that add beauty and value to your property. Deck staining is one job that it is sometimes easy to put off. You think about doing it in a few weeks or in a couple months and before you know it, five years has gone by and your deck looks terrible. Deck staining is important for more reasons than just keeping your deck looking good. The stain actually helps protect your deck from rotting and other problems. Here at Prep-Rite Painting, we are here to help you get deck staining off your to-do list. 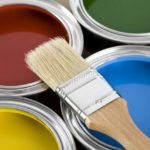 Experience: Our owner has been painting and staining for over two decades. Prep-Rite Painting has been in operation as a locally owned and operated business for over 17 years. Superior products and supplies: We know that your results depend partly on the quality of the stain used for your deck staining. We are environmentally conscious and choose top-of-the-line products that are also safe for the environment. Excellent results: We also take the time needed to prep for your deck staining correctly. This may mean a longer cleaning and priming process, but we know that it is all worth it in the end. We will work on any blemishes or trouble spots, as well as pressure-washing all the dirt and grime away. Whether you have a brand-new deck that needs to be stained or if you have an older deck that needs to be brought back to life, we can take care of your deck staining and give you your valuable free time back. Call today to schedule your free estimate.